The good news is finally here, Mahindra finally today (10th September, 2015) launched the awaited Mahindra TUV 300 mini-SUV will launch in India with a price tag of Rs 7 lac. Booking for the car has already begun against a down payment of Rs 20,000. The sub 4 meter SUV positioned between the Bolero and the Quanto is all set to take on the likes of cars like Ford EcoSport and Renault Duster. 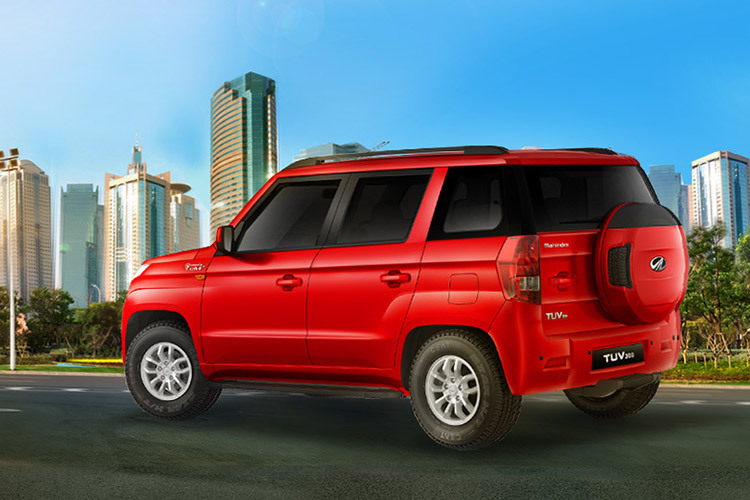 Talking about the exterior, the image itself speaks of its muscular SUV type looks, with a front quite similar to the Bolero. Boxy-rugged looks comes from the company’s inspiration from a tank like design. With a swept back headlamps the car also features tall belt lines, roof rails, rear mounted spare wheel and 10-spoke alloy wheels. Recent reports also reveal that the car will come in three variants TUV 300 T4, T6 and T8, which are nothing but base, mid and top level variants. Inside, the car will feature a black dashboard with aluminum inserts, modern infotainment system supporting touchscreen, Blue-tooth and USB. The car will also come equipped with a multi function steering wheel with mounted controls. 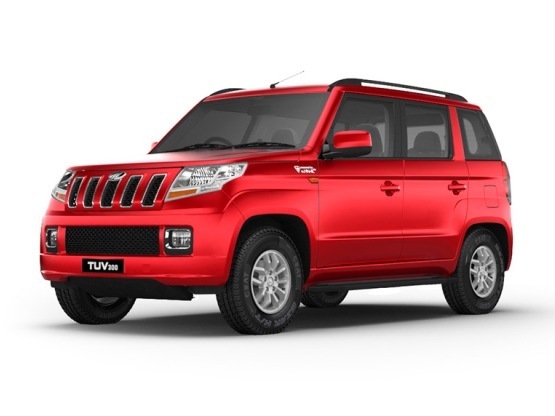 Under the hood, the TUV 300 is powered by a 1.5 liter 3-cylinder diesel mHawk 80 engine which is a revised version of the one fitted onto the Quanto, coupled through a 5-speed gearbox the engine churns out 100bhp of power and 240Nm of torque.